A first analysis of the exhibitor feedback shows that participating companies were highly satisfied with the outcome of Fastener Fair Stuttgart 2019. A vast majority of exhibitors were able to reach their target groups and they praised the high quality of trade visitors. 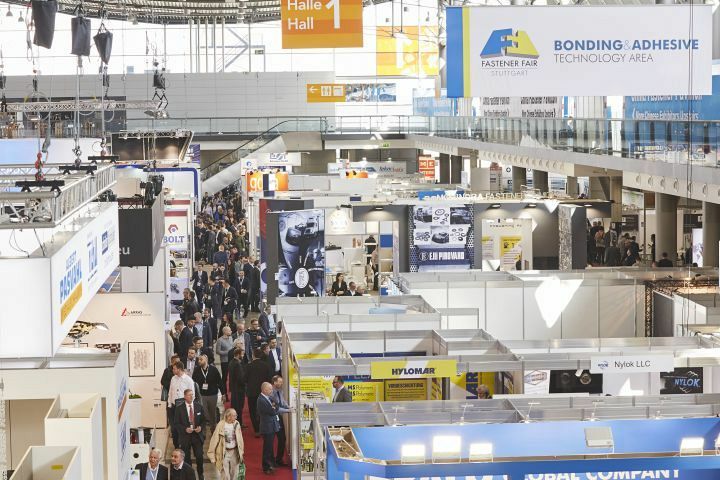 Exhibitors also reported a large number of new business contacts as they showcased an enormous variety of new products and innovative solutions for the fastener and fixing industry. During a ceremony on the second show day, the Fastener + Fixing Magazine announced the winners of this year’s Fastener Innovator 2019. A total of three exhibiting companies were awarded for their innovative fastener and fixing technologies. Growermetal Srl took third place for its GROWER TENKEEP® flat safety washers introduced to the market for the first time at the show. In second place was member of the SACMA Group, Ingramatic, with its smallest threader inspired by its I-Thread concept, the Micro threader model RP020. The winner of the competition was TR Fastenings Ltd and its EPW thread-forming screw. This year, Mack Brooks Exhibitions will again hold a series of Fastener Fairs in selected international target markets. Fastener Fair India 2019 will be held from 25 – 26 April 2019 in Mumbai. Fastener Fair USA will also take place this year, from 22 – 23 May in Detroit. From 19 – 20 June Fastener Fair Mexico with take place in Mexico City. Next year, Mack Brooks Exhibitions will be organising Fastener Fair Turkey in Istanbul, from 27 – 29 February 2020 and Fastener Fair France from 27 – 28 May in Paris. The third Fastener Fair Italy is scheduled to take place from 11 – 12 November 2020 in Milan. Further information on all Fastener Fairs is available at www.fastenerfair.com. After considering feedback from the exhibitors it has been decided to reschedule the next Fastener Fair Stuttgart, 9th International Exhibition for the Fastener and Fixing Industry, to May just for the 2021 event. The exhibition will therefore take place from 18 – 20 May 2021 at the Stuttgart Exhibition Grounds in Germany.